A Mississippi River paddlewheel cruise on the Queen of the Mississippi brings a new high standard to America's most iconic river. Beneath her gleaming woodwork and brass fixtures is a framework of modern cruise ship technology that provides passengers with the most comfortable vacation imaginable as we cruise the Mississippi and Ohio Rivers from New Orleans to Minneapolis or Cincinnati, OH. 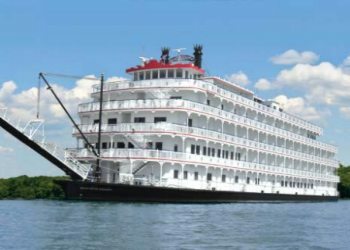 The Queen of the Mississippi features the most spacious staterooms in the industry and provides more space per passenger than any other river cruise ship. Attention is paid to every detail and the all-American crew offers carefully personalized service. Cruise the Mississippi in comfort aboard American Cruise Lines' Queen of the Mississippi, the newest and finest authentic paddlewheeler to grace the Mississippi River. 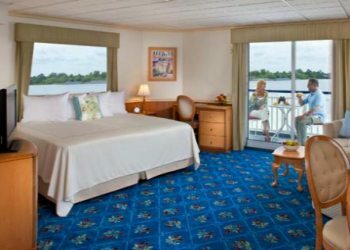 All third and fourth deck staterooms and suites feature sliding glass doors to access private balconies allowing you to experience breathtaking scenery from the privacy of your stateroom as the Queen of the Mississippi makes its way down the river.